Hello! I’ve identified a personality framework that divides all of humanity into four types—really. The Quiz poses questions meant to identify your Tendency and to cover some standard demographic information; it takes about ten minutes to complete. Answers are confidential and coordinated by a third-party research firm. 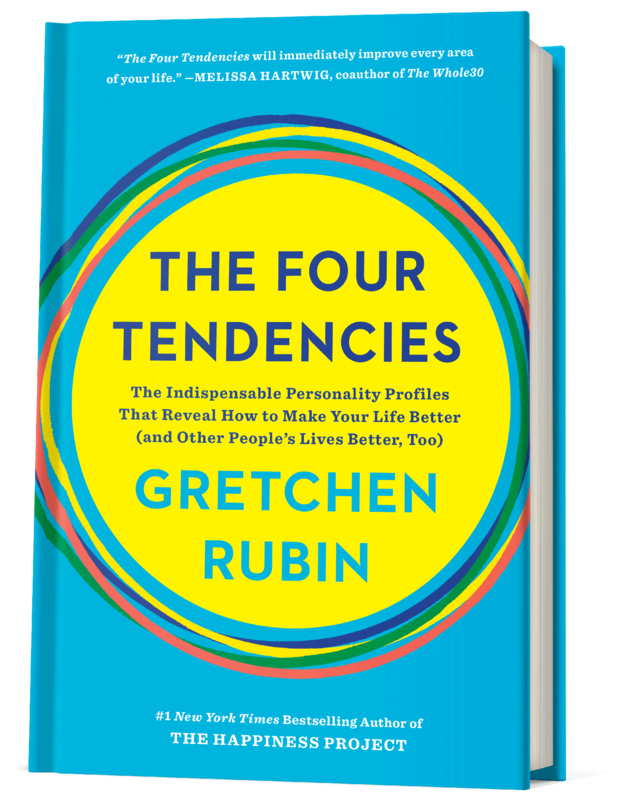 To learn more about the Four Tendencies, check out my book. Consider the following scenarios. Obviously, you might not find yourself in these situations, and you might not react exactly as suggested; choose the answer that sounds like the kind of thing you'd most likely say, do, or think. Choose the answer that seems most generally true for you; try not to search for exceptions to the rule or focus on one specific area of your life. Sure. I’m good at keeping New Year’s resolutions, even ones that no one knows about but me. Sure, I’m good at keeping resolutions, but I make them whenever the time seems right. I wouldn’t wait for the New Year; January 1 is an arbitrary date. I’ve had trouble with that kind of resolution, so I’m not inclined to make one, whether at the New Year or any time. When I’m only helping myself, I often struggle.